We have been on a short hiatus but we're back with a bang. Today we have one of the most well known mentors/MCs/VEX Game Designers/Simbots in the robotics community, Karthik Kanagasabapathy. He was a founding member of FRC#188 - Woburn Robotics, the 1st Canadian FRC team, and from there his passion for robotics competition grew. Karthik's accomplishments need little introduction. 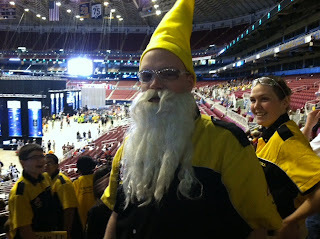 He has been essential in developing FRC #1114 into a World Champion and Championship Chairman's Award winning team. He is the Chairman of the VRC Game Design Committee and helps spread competitive robotics to thousands of teams around the world each year. He's extremely active in the community, answering all of the VEX Q&A each year and having a consistent presence on Chiefdelphi. His strategy presentations the past few years have been standing room only events at FRC Championship. In this interview he tells you how he was brought into 1114, shares the best advice he's ever received, and offers loads of advice for students and mentors alike. Current Gig/Job: Regional Manager & Chariman of the VEX Robotics Game Design Committee, Innovation First Intentional - Canada, Inc. 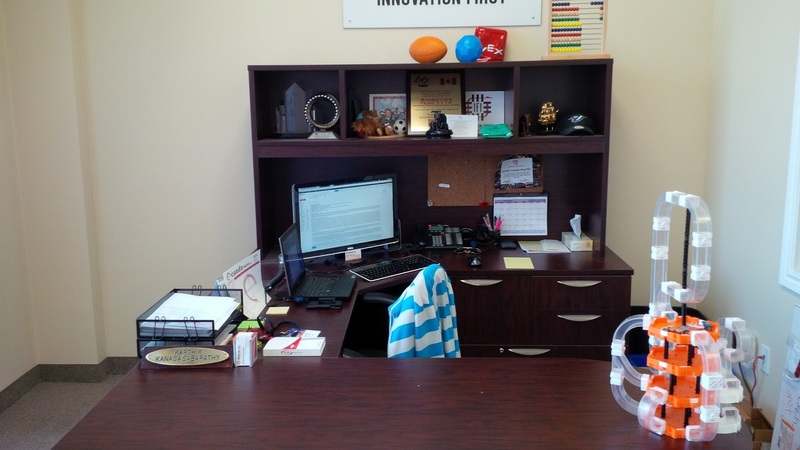 I work for Innovation First International (IFI) in our Canadian office. Here I oversee all VEX Robotics operations and doings in Canada. I have other responsibilities including supporting IFI's other businesses in Canada, Rack Solutions and Hexbug. The highlight of my job is being the Chairman of Game Design Committees for both the VEX Robotics Competition and the new VEX IQ Challenge. I'm responsible for coordinating and participating in the development of both games, and I am also the primary author of both game manuals. 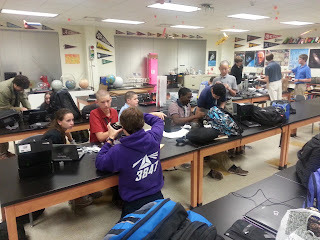 In a nutshell, I get to design competition robotics games with a committee of brilliant people (Paul Copioli, John V-Neun, Tony Norman, Dan Larochelle, Bob Mimlitch, Rich Kressly, Jason Morrella, Mike Soukup, and more! ), and then write the rules that are going to be examined and dissected by upwards of hundreds of thousands of students worldwide! One of these days I'm going to write a novel about my FIRST experiences on 1114. I'm not sure anyone would want to read it, but there are so many stories I'd love to get down on paper. Of course at this exact moment, I'm drawing a blank. All the ones I can think of are all probably a bit too long for this article (i.e. The formation of our 2008 World Championship Alliance, The Einstein 2012 Fiasco, etc.) Oh, wait, here's a good one. It's the story of how I joined Team 1114. During the 2003 season, I was in the midst of a pretty busy semester at the University of Waterloo. So instead of mentoring a team, I did what a responsible university student should do, and took the season off from FIRST. (This may have been the only time I was ever described as a "responsible university student", but let's roll with it. In all seriousness, this is important advice for any young mentor. School always comes first. You have your entire life to be an FRC mentor, but only 3-5 years of undergrad. Your GPA will stick with you for a looooong time, especially if you're particularly ambitious. Don't mess it up by spending too much time mentoring/running a team). I went to the 2003 Canadian Regional (now the Greater Toronto Regional West) as a spectator. I didn't even have time commit to being a volunteer, so I randomly grabbed a seat in the stands and watched matches. While watching, I was kind of talking to myself, analyzing the various teams on the field. There was one rookie team that I was particularly captivated by. They had a drivetrain with steerable wheel modules, and were the only team at the event who could stack bins, and they were stacking easily, like way too easily. It was clear that there was some real engineering talent on this team. It was the most impressive engineered rookie robot that I had ever seen. On the other hand, as most veterans of 2003 know, stacking was not the optimal strategy in Stack Attack, as it was very hard to do, and very easy to undo. The effort to reward ratio was completely out of whack. The best teams in FIRST that year specialized in knocking over stacks. I started thinking aloud about what this team could have accomplished with a different strategic design, one that focused on game tasks that were more optimized towards the match objectives. Well, the random person that I was sitting beside was interested in what I had to say, so we started up a conversation about this team. Turns out his name was Stephen Rourke, Director of Engineering at GM St. Catharine's, and he was founding mentor of Team 1114. The team that I was analyzing on the field? You guessed it, Team 1114. We talked for a while that weekend, and by the end of it he said, "If you ever want a job at GM, just let me know." A few weeks later I got in contact with him when I was looking for an internship, and he emailed me saying "How are your project management skills? Would you like to run Team 1114?". And that's how I ended up being a Simbot. 469, Las Guerillas, 2010 is next on that list, for all the same reasons. What can I say, I'm a fan of chokeholds. I'm honestly not that much of a techie at all, but at the same time, I'm addicted to the tools I have. I practically break out in chills if I'm away from my BlackBerry for more than a few minutes. I have a new BlackBerry Z10, and it's my ultimate productivity device. The BlackBerry Hub does a great job of compiling everything from all my various accounts (personal email, work email, texts, BBM, calendar, Facebook, Twitter, etc.) and providing it to me in an easily filterable and searchable environment that allows me to remain hyper connected at all times. The device really does allow me to "Keep Moving". It's too bad BlackBerry is struggling to stay afloat, considering the Z10 is such a useful device. I'm actually considering going out and buying three right now, just so I can still keep using them if BlackBerry gets out of the Smartphone hardware business. I'm a big fan of products such as Google Drive and Dropbox, which allow for seamless collaboration by multiple people from multiple sites. This is especially important to 1114, where almost all of our mentors live at least one hour from the build site and have very busy day jobs. Other things that are a must for me are red pens, 0.5mm mechanical pencils, compact notebooks/pads, and a high quality white rubber eraser. (Seriously, I detest people who do math with fat pencils, it just looks awful.) Oh, and sticky notes. I'm kind of a neat freak, so my office layout is set up to minimize clutter. I have my laptop, which is always plugged into a 24" monitor so I have more real estate to work with. I also like to have a lot of open desk space so I can spread documents out without having them being cluttered. For my projects at home, I used to always have a giant cork board that I could pin articles and notes to (a la Carrie Mathison on Homeland). The fact that I don't have one of those going right now is a sign that I haven't been really firing on all cylinders on any new ideas/projects. Hmmm. Work from 9:30 to 5:30, nap from 6:00 to 8:00, then dive into FIRST stuff from the rest of the evening/night. Friday nights after work I head down to St. Catharine's, where we work in the shop until about 1:00am. The mentors then gather at the team clubhouse and discuss the latest happenings for an hour or two. Saturday morning we head to the shop at 10:00am and work until 1:00am, and the process repeats. On Sundays I call it a night at 6:00pm-ish and head back to Toronto. The biggest task we have on Sundays is making sure everyone has a plan for what needs to be done during the week, especially the students, since they work fairly independently of the mentors during the week. Once you get into the trap of thinking you're better at anything thing than everyone else, you instantly fall into complacency, which is very dangerous. I'd like to think I'm pretty good at a lot things (although I'm certain others would disagree)...fast thinking, analytic problem solving, recognizing patterns, reading people's emotions, but I would never make the claim that I'm better than everyone else at any of these. There are too many people in this world to ever be certain of something like that. On the other hand, I probably could have just answered this question with "Looking good. Being charming" (the aforementioned others would have probably said "Losing his hair. Being delusional."). It's tough to choose just one option. I'll go with some advice from my former boss, the late Stephen Rourke. "You can't get what you don't ask for." The world is filled with opportunities, but if you spend your life waiting for opportunities to be handed to you, you'll miss out on almost all of them. You need to seek these opportunities out and straight up ask for them. The worst that can happen is that someone says "No". Want that dream job, even though it's a long shot? Apply for it! Want to be picked by 67 at Champs? Ask them? Want to talk to the hottest guy/girl in room? Go up and start a conversation! Don't be the person sitting on the sidelines with a boring job, missing eliminations, and an ugly significant other! Rejection really isn't that bad; you're never going to climb a mountain without a few scrapes. Another great piece of advice is to make sure you always have at least three mentors in your life. When I say mentor here, I'm referring to someone with a lot of experience who is an active participant in your life; someone you can always reach out to for advice and guidance. A lot of FIRST students think the need for mentorship ends when they finish high school. The thing is, learning is a lifelong process. If you stop being open to mentorship when you're 18, you will stagnate quickly. Experience is a key to success, and cannot be replicated, but mentorship can certainly accelerate the process of gaining experience. Heh, that's a dangerous question. I'll always been a proponent of the "Work Hard, Play Hard" philosophy, as such I can be a bit hedonistic from time to time. Also, I'm really on a high fashion kick when it comes to formal wear. I'm all about custom suits and shirting. 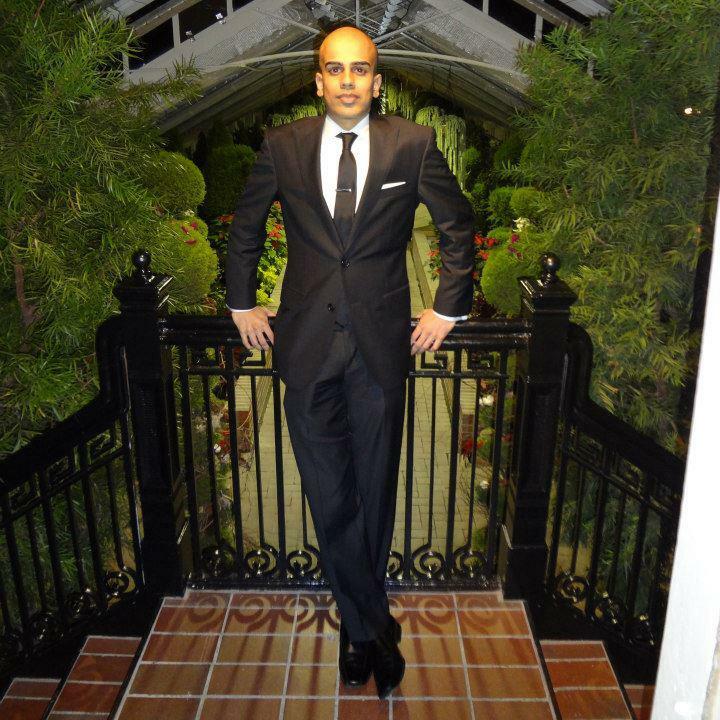 There's nothing quite like a suit that's perfectly tailored and fits like a glove. My goal is to have a closet like Jay Gatsby, so I can start throwing around custom shirts of every colour and pattern, all monogrammed with KK. Oh yeah, and of course there are Jordans. I love my Jordans. Fill in the blank. I'd love to see EJ Sabathia (254) answer these same questions. Anything else you want people to know about you? I'm fairly obsessed with sports, from historical and statistical perspectives, but also just the grandeur and beauty of the stories behind professional sports. There's nothing quite like being a fan. People often ask me why I'm so captivated by FIRST, simply put, despite not being a sport, it captures much of what makes sports so great. If you have any questions for me, feel free to reach out to me on Twitter (@kkanagas) or on Facebook (karthik.kanagasabapathy). Today we had multiple groups working on several projects. 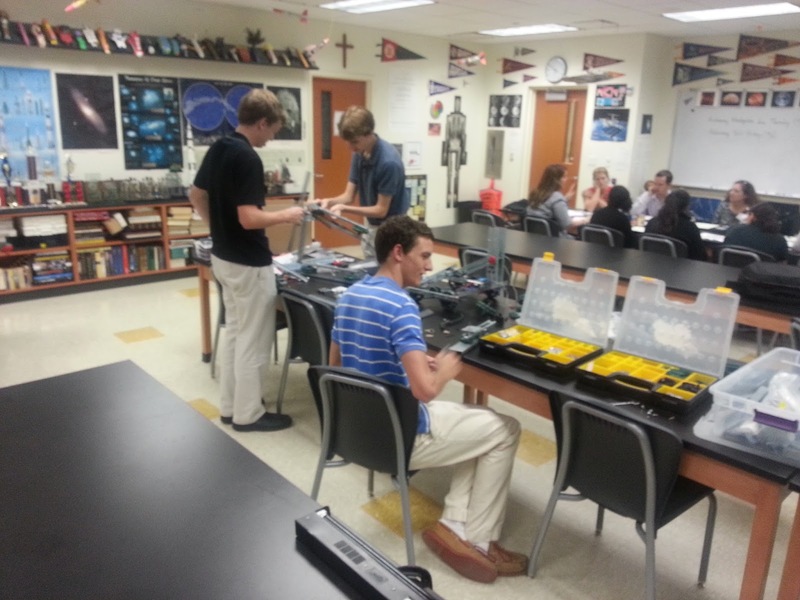 We had our seniors working on their VEX robots for Toss Up. Our new students were putting together two VEXPro Ball Shifters. The gearboxes went together very smoothly. 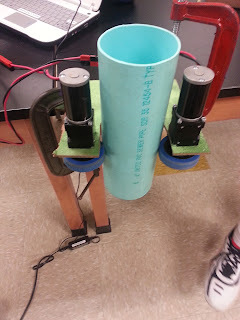 They will be used on our fall prototype FRC robot. We also had our 1st Canstruction meeting of the year with English + Associates Architects, Inc.
Norman Morgan, or Coach Norm as he is known to most, has been coaching FRC#2468 since their inception six years ago. 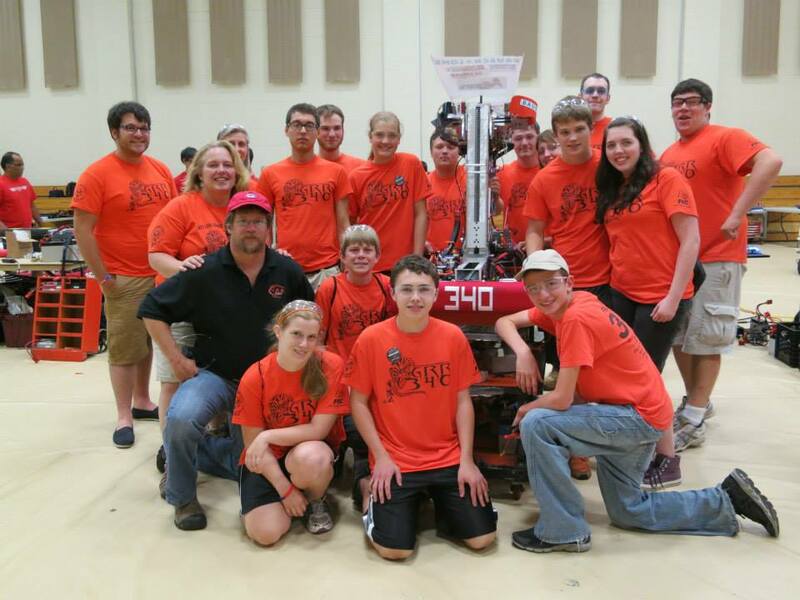 2013 was a breakout year for team 2468, winning the Hub City Regional Chairman's Award, finally taking home their first regional banner at the Alamo Regional, and putting on a great performance on the Archimedes field at the Championship event. Coach Norm has been a huge part of that success and was honored by being presented the 2013 Hub City Woodie Flowers Finalist award. 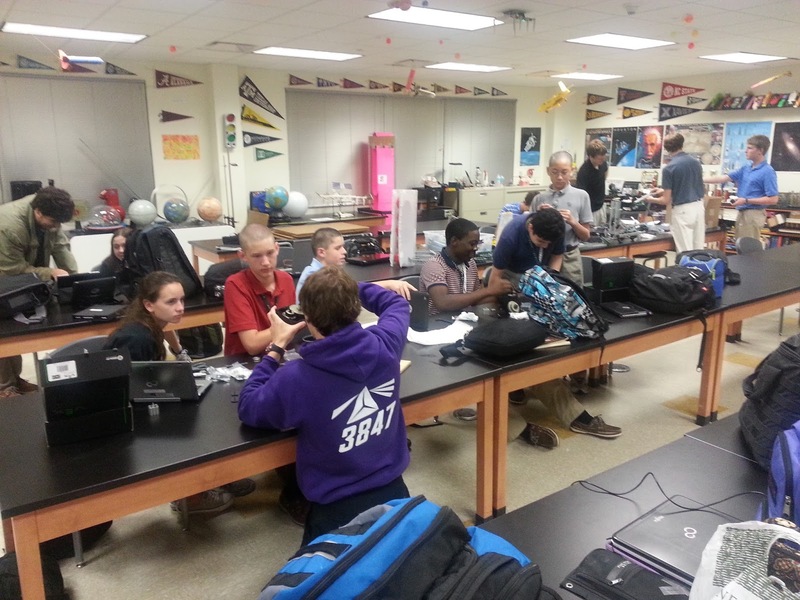 Coach Norm is truly dedicated to his students and spreading STEM in the community. Coach Norm expands on why he got into education, how he got the opportunity to coach Team Appreciate, and much more. I am a 4th generation teacher and the son of two teachers. I watched my Dad work as an Ag/FFA teacher with students and the impact he had on their lives with after-school projects. I went into education as a basketball coach, even paid for my college with a scholarship. I wanted to a job that allowed me to not only work with young people, but also give me a chance to continue to learn each and every day. I went into the profession really because I was going to get paid to do something that I thought was fun and exciting. I was getting paid to play each and every day - what better job could there be? 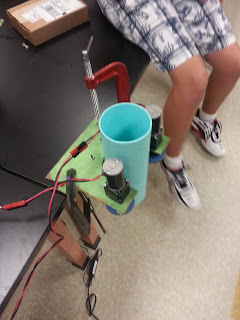 I am the lead robotics teacher and coach at Westlake High School in Eanes ISD. My principal called me six years ago with a very leading question: “Norman, Do you have an open mind?”. She went on to ask me to start the robotics program for our school which I had helped do some research on. We started out with 35 seniors, one junior, and one freshman that year. The program has now grown to classes for 7th thru 12th grade and over 130 students participating in after-school robotics teams for those grades. I teach three levels of classes in the high school including Concepts of Engineering and Technology, Scientific Research, and Design I and II. I am the CEO for lack of a better term for our district Robotics program. In seventeen years of coaching athletics, I never once had a professional coach much less a college coach volunteer to spend time with students in the gym on a regular basis. I currently have 16 professional coaches who volunteer each and every week to work with our students on their projects. These professional coaches (mentors) provide knowledge, skills, and connections that I as a high school teacher can never provide for my students. I do not have to be the expert. Teaching is not about giving someone the answer. I think teaching is about providing the environment for students to grow and learn. The mentors and I provide this environment by leading the students on the projects. Wow, that is a tough question. Teams like 1477, 118, 148, and 624 are local teams that inspire me every year with their robots. The robot that has most impressed me is probably FRC 1114’s Simbot SS. 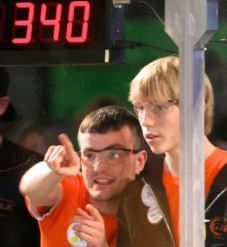 2008 was our Rookie year and we had a chance to watch Simbot SS at Championships in Atlanta. The robot was simple, functional and elegant. I was amazed at the efficiency of the machine. I am a technology geek at heart. Twitter has been a huge part of my professional development for the past several years. I use Tweetdeck for both my Mac and PC computers. iPad apps include Zite, Flipboard, iTunesU for my class as well as for me personally. Numbers, Pages, iBooks, Linkedin, Google+, Kindle for iPad, and Nook for iPad. SolidWorks for CAD on the PC, Google Drive and online docs, Dropbox, Evernote, Skype, Facetime. We work out of our classroom and shop which used to be one classroom. The shop is 18’ x 30’ and the classroom is also the same size. We have an additional storage area down the hall we got this past year that we use for storage and an electronics workbench area. We share this space between our FRC team and our four FTC teams. We have a Jet lathe, Grizzly vertical mill, drill press, band saw, portable saw, and Makerbot Replicator 2. We have on order a 28” x 50” gantry style 2 ½ D CNC. The past few years, we have borrowed a similar CNC from our mentors that we use for the duration of the FRC season. We practice wherever we can arrange including outside the back of the shop, school hallway, cafeteria, etc. I listen to anything from Youtube videos, podcasts, sports talk radio, Pandora, etc. while I work in the classroom/shop. I personally like country and classic rock. John Fogelberg is awesome. We do not always listen to music in the shop, although we have a student who has an obsession of Taylor Swift. I usually let the students control the music in the shop when we work. 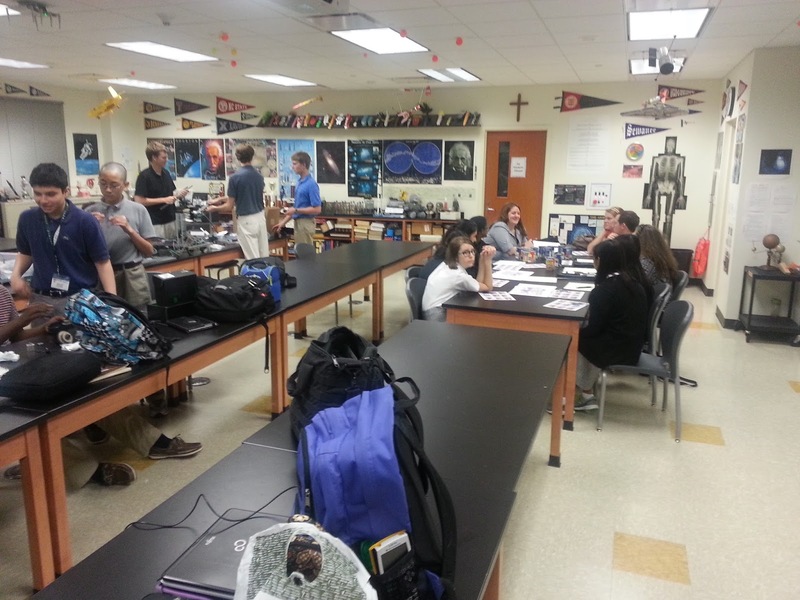 Our school day ends at 4:05 and we have most of the students on the robotics team in the last period of the day. During season, we use the class for more of a study hall for most of the students. We have a proposed work time that follows. Tuesday/Thursday - 6:00 - 9:30 and that usually leaks over as well. Sunday - not scheduled until the last few weeks before bag and tag. Many times the students are willing and able to stay longer in the evenings to work with the input of mentors who usually do not get to the shop until 7:00ish. We are always struggling to manage our time better. If you were to ask my team, mentors and parents, it would probably be strategy. I analyze each and every match from a coach’s point of view. I was a basketball coach for 17 years prior to becoming a robotics teacher/coach. My background of coaching has given me a different perspective than most others. Strategy, to me, is something that can be evaluated continually not just at the beginning of the season or when you are making your pick list. The best advice I ever received was from my Aunt Kaki. She painted a poster with the following saying on it “I am not judged by the number of times I fail l but by the number of times I succeed; and the number of times I succeed is in direct proportion to the number of I can fail.” It hung on my wall in my bedroom above my bed. I read it everyday from the time I was 12 years old until I graduated from college. Candy (Hot Tamales, Dots, Candy Sours) and my wife’s cookies. Fill in the blank. I'd love to see John Novak from Bomb Squad answer these same questions. I consider myself a lifelong learner and believe that we all should be learning something new everyday. We built our first prototype collector today for the Pipefall game. Its a very basic roller claw. We will continue building multiple prototypes over the course of the next few weeks. Yesterday we kicked off our Pipefall fall project. We went over the game rules and started the initial brainstorming like we would do on a real kickoff. Here is the collaborative document we use to take notes on the game. This is a little less flushed out than one that normally comes out of our kickoff meetings but we also only had 2.5 hours instead of 10 or 12 like we do on the real kickoff day. Also all of the jokes and random things are pretty standard as well. Here is our 2013 kickoff document from Ultimate Ascent for comparison. We will be expanding on this throughout the week and prototyping will begin shortly. We also broke down our cart today, hopefully it will be powder coated in the next few weeks. This week we have our first mentor from the Mid-Atlantic Region (MAR) District. David Bodmer is the lead mentor for FRC#11 MORT and their Beta team FRC#193. David shares with us a great story about arranging transportation to a regional the day of the event, his reason for why he loves what he does, and several great quotes. 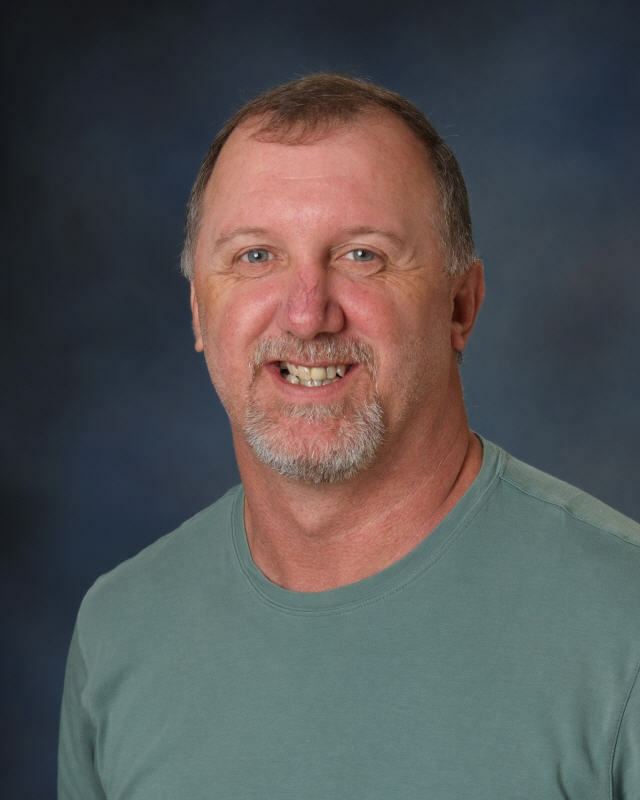 Hobbies: Spending time with family, music (listening and playing), Indycar Racing, Civil War History, travel, log homes, and spending time at the shore! For me it all started with my high school drafting teacher Mr. Johnson. I loved my wood shop and drafting classes and would spend all of my extra time in those classes. Any chance to design and build something, I was there! It was awesome. He was a major influence for me and gave me the guidance needed to pursue a career in education. Where I am today is above my wildest expectations from when I started teaching in 1993. To be a part of the FRC 11 & FRC 193 families is amazing! My job allows me to work a talented group of people as we design, build, and compete with a robot built in our shops, what else could you ask for? It’s AWESOME! I love what I do and being able to get students excited about Engineering and STEM Education with the hope of making a difference in their futures makes all the long days and meetings worth it! I teach the Robotics Engineering courses at the Mt. Olive High School and am Lead Mentor/Project Manager for FRC 11 & FRC 193 based out of the Mt. Olive High School. My entire professional teaching career has spanned from being a Middle School Tech Ed teacher all the way to my current position which is solely focused on Robotics Engineering and our FIRST program. The road to my current job was not a straight path and had its twists and turns, but I used all of those turns in the road as an opportunity to learn about myself and my profession. I can say that where I am currently is the best environment for myself, my students, my mentors, and parents! We have something special developing here and it’s something that I am very proud to be a part of! 2011 – Our team was scheduled to attend the Palmetto Regional and travel via Amtrak to North Charleston, SC for the event. The morning we were set to leave for SC, we had a snow storm in New Jersey and our district busing was suspended due to the poor weather. We ended up missing our 6:30 AM train! I sent everyone home and then was making calls with my wife in our home office trying to get a charter bus that would take us to the SC! To make a long story short, we had the bus arranged by 11:00 AM that morning and we were on our way to SC! We made a bus change in Fayetteville, NC at about 11:00 PM (which we didn’t have lined up until we got through Washington, DC! ), transferred out luggage and gear from one bus to the other, and then back on the road! We arrived in SC at 2:30 AM and the over to the venue by 7:30 AM. Needless to say we were exhausted, but in true MORT fashion we put our best effort forward and had a great regional winning the Chairman’s Award and event Semi-Finalist! My space at school and home are similar - they are both a mess! I have papers, folders, and binders stacked all over the place! In true mad scientist style, it looks like a mess to the outside world, but to me I know where everything is and for me it works! Sorry to all of you who keep neat work spaces, not my style! The most organized piece for me is my backpack which I use daily and for team travel! That bag is my lifeline for all that is FIRST and MORT! Classic Rock – Beatles, Genesis, Police, The Who, my list here could go on and on! Tough one to answer, but what comes to mind for me is my ability to listen. It’s very easy to always want to get in your point of view or ideas, but to me the more critical piece is the ability to listen to others. Taking the time to listen to others shows that I value their ideas and leads to a higher level of communication and trust with all involved in our program. Another tough one! Over my years of teaching I’ve had many that offered advice to help me as a person and a professional. The one that comes to mind is more recently when one of our team mentors, Terry Thomas pulled me aside while at FIRST Championships and we got into a discussion about why are we doing this (FIRST)….his point was that we are here to nurture and develop human beings. While we all want to achieve levels of success on and off the field of play, the bigger and more important goal is that we are here to provide our students, mentors, and parents with the opportunity to develop and grow into human beings that will have a positive impact on our society and world. By taking the time to understand that in one form or another we all add value to our world. This is a critical concept/idea and one that I can obtain through the FIRST program. Dark chocolate…the darker the better! Fill in the blank. I'd love to see __________ answer these same questions. I enjoy reading books by successful coaches and business people and would recommend to anyone looking to become a stronger leader for their program to check out the following people and read up on them, they are amazing people and have so much to offer all of us!